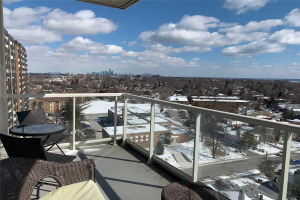 Bright & Spacious (970 Sq Ft) Two Bedroom Unit With Breathtaking Panoramic Views Of The Lake & Toronto Skyline From Every Room. 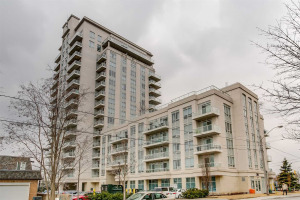 Fabulous Location Across From The Go Station, Street Car To Downtown & Mississauga Transit. 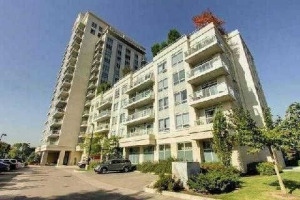 Close To The Lake, Marie Curtis Park, Cycling & Hiking Trails, Schools & Sherway Gardens Mall. Easy Access To Major Highways, Airport & Downtown. Rent Includes One Parking Spot And All Utilities Except Cable Tv, Internet & Phone. A Second Parking Spot Is Available For An Additional $100/Month. Building Facilities Include Gym, Party Room, Sauna, Hot Tub & Visitors' Parking. Non Smokers Only, No Pet Building.